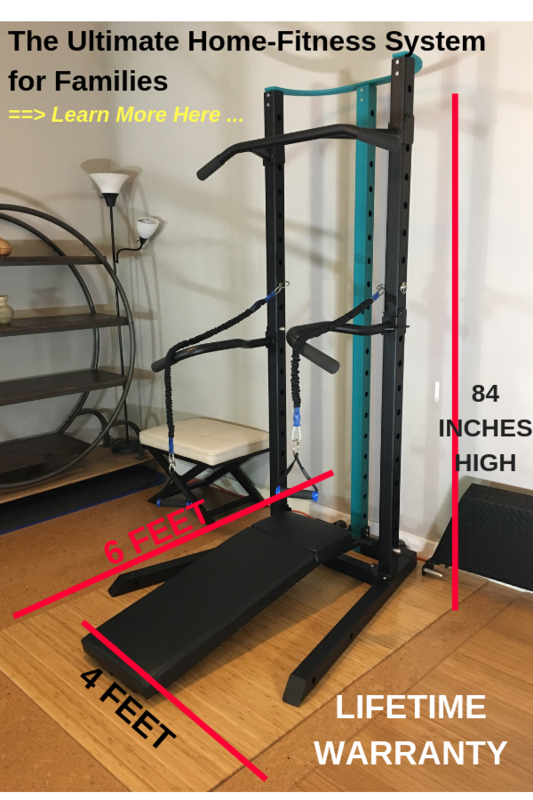 As September/October get closer – we are working behind the scenes on the SCULPTAFIT Home-Gym System Personal Training Video-On-Demand platform for all the Founder buyers, pre-release buyers (pre-release sale is happening right now) and future buyers of the SCULPTAFIT All-In-One Home-Gym System. We are aiming to “open the doors” to the SCULPTAFIT @ Home Private VOD Portal in September, with a starting library of training programs for the entire family – which we will be adding to EVERY month. A few days ago, Nikki and I shot a VERY short, VERY “rough” draft example of how some of the training videos will look – and how clients at home will be able to follow along – no matter what level they are or what type of program they require for their specific needs. Here’s something worth seeing and learning from: Watch the subtle adjustment I have Nikki make with her posture as she’s doing the Band Flyes – and see how just that little detail makes a significant difference in how Nikki feels the effect of the exercise. I raise that point to highlight what this whole SCULPTAFIT “movement” is about… Yes, it’s unique, it’s progressive and unconventional – BUT it is also one of the few fitness methods that focuses on leveraging the most subtle details of the body, biomechanics and psychology in order to get the absolute best results, in less time and without unnecessary risk of injury. You can exercise your entire life – but if you’re doing most of it wrong, all you get is minimum results and increased risk of injuries and issues? However, when you “do it RIGHT” – it’s a complete life-changer. Anyone who is a SCULPTAFIT @ Home Client is going to be getting the absolute BEST in class personal training and fitness instruction. And you cannot put a price on that, especially when you consider that everyone in the household will have all of this right at their fingertips, for life. In the rough draft demo vide above you may be able to tell we are testing several video cam angles above and we were also testing basic sound and lighting. Some of exercise videos in the SCULPTAFIT @ Home Private VOD Portal will be trainer/client, some will be trainer only and some will be hybrid. And the bonus videos will be a complete variety of materials that continues to develop over time, and help you with other areas of health and fitness in your life. Any questions, comments or thoughts – please do share below in the comment/reply box. You know I love hearing from you. Tinaaaaaa!! Oh yes – there will be LOTS of moves to be bustin’! 🙂 Yours will be there before you know it!